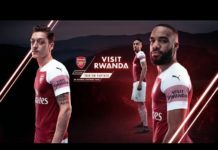 After failing to exert influence the Great Lakes Region of Africa, Rwanda’s president Kagame has decided to try countries in the Southern African Development Community (SADC). It is well known that Kagame tried to apply his influence over the Democratic Republic of Congo (DRC) even thought this was only partially successful. He was able to setup a government that followed his orders, but it didn’t go completely as he had planned. Just as a reminder, his military was expelled from the Congo the first time by Laurent Desire Kabila. At that time, the head of the Congolese military was General James Kabarebe who later became the minister of defense in Rwanda. He subsequently tried to take over the whole Kivu area using the M23 militias. These plans ended up foiled by a special UN brigade made of troops from Malawi, Tanzania, and South Africa who roundly defeated the M23. He also tried to take over Burundi by trying to topple Nkurunziza. This attempt was unsuccessful, and his next plan was to support a Burundian rebel group based in Congo. This plan also seems to be failing. To the north of Rwanda in Uganda, Kagame tried to take over all its institutions. He also rendered support to Uganda’s president Museveni’s opponents. Once Museveni realized how much Kagame had encroached on Uganda’s institution, realizing that he was close to losing his leadership in Uganda without any wiggle room due to Kagame’s infiltration of their security organs, Museveni decided to remove what he referred to as jiggers from his government. Now that that he’s failed in the Great Lakes region, he wants to come down south to SADC countries. Let us take a close look at the country of Malawi. He is slowly taking over government institutions to the point where residents of Malawi claim that Malawi is at the point where Uganda was before Museveni took measures to deal with Kagame’s infiltration of Uganda’s institutions. When you look closely at the country of Malawi, the country has become a home for Kagame’s agents in charge of killing, disappearing, abducting, kidnapping, poisoning and scaring Rwandan refugees who fled the RPF. All the cities in Malawi are littered with those killers whose job is to pursue Rwandan refugees who own small businesses that sustain them in their day to day needs. These evildoers operate under the umbrella of the “Diaspora” organization that works for the Rwandan government. The “Diaspora” organization is the conduit for all their evildoings. This “Diaspora” organized by the government of Rwanda is considered by the Rwandan government as its 5th district. This “Diaspora” organization has leaders in every country that hosts Rwanda refugees in Africa, Europe, Asia and the Americas. Their goal is to sow fear among Rwanda refugees and force them to return to Rwanda. Refugees who refuse are accused of crimes in order to tarnish them in their host countries. The “Diaspora” also tries to get the local population in the host countries to hate refugees in order to tire the host countries and lead to them expelling refugees. To that end, the “Diaspora” spreads rumors of Rwandan refugees killing locals or selling their organs as was done in Zambia. This rumor has also been spread in Malawi and when those rumors surface, refugees are robbed and expelled from area where this happens. When you investigate, you find that they are in charge of spreading these rumors in order to disturb the refugees and get them robbed. Refugees of Hutu ethnicity are accused of committing genocide and Tutsis are accused of stealing. To that end, a man named Murekezi who lived in Malawi was abducted from a Malawian prison even though the extradition treaty between Rwanda and Malawi was not signed until Murekezi was already serving his sentence. This law was applied retrospectively. Some of the refugees in Malawi. Many of those so-called refugees also carry Rwandan passports in violation of refugee laws. Religious people including priests and pastors. Many of those happen to be soldiers and policemen who were once part of Rwanda’s military or civilians who received training in spying and killing. Among their assignments include bribing members of Malawi’s security organs in order to infiltrate them. They also work to turn native Malawians against Rwandan refugees. Killing a man named Gasana who once led the “Diaspora” after he decided to distance himself from the organization due to their murderous activities. The killing of a young man named Mundere because he belonged to an opposition party. The Malawian police claimed that they shot him due to suspicion of him being a thief. But those who saw his dead body claim that they never saw a bulled wound and instead found multiple knife wounds. They also found his male organs burnt using an iron. It is suspected that Mundere was killed by Paul Kagame’s killers who turned around and bribed the Malawian police in order to cover up the crime and publicize wrong information. These days, word among the refugees is that spy agents and the “Diaspora” have delivered a list of 47 Rwandan refugees who must be illegally abducted and sent to Rwanda. This news has Rwandan refugees in Malawi worried and no longer feel secure. It is turning like Uganda where refugees were abducted by Kagame’s agents who were operating with Ugandan policemen including their leader Kale Kayihura. Refugees have started to wonder whether Malawi is slowly becoming another territory of Rwanda because Rwanda’s spy agencies operate as they like and when they want. These spies are supported by leaders of the Rwandan “Diaspora” in Malawi. Members of the “Diaspora” go around spreading fear among real refugees claiming that the Malawian government supports then in their evildoings. It appears Malawi has turned like Uganda when the Police in Uganda was under the leadership of Kale Kayihura. During that time, many Rwandan refugees were killed and others abducted and sent back to Rwanda. When president Museveni of Uganda woke up to this, things were in horrible shape. These days he’s working hard to remove what he called jiggers when he referred to Rwandan spies in Uganda’s security organs. Had he not realized it and taken swift action; Museveni was on the brink of a coup d’état similar to the one foiled in Burundi against president Pierre Nkurunziza on the 13th of May 2015. This happened after Rwandan spies had infiltrated Burundi’s security services under the watch of Burundi’s leadership. Burundian leaders had naively thought that this infiltration would have no consequences. Dear Malawians, be warned that if you do not wake up to Rwandan spies’ tricks, you may lose control of your country not knowing how it all happened. 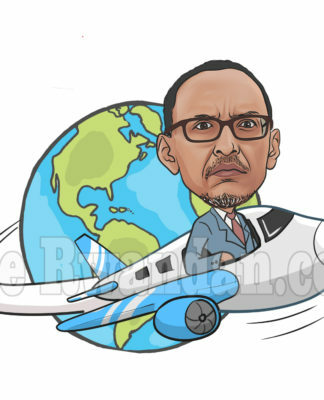 Lately, various Malawian officials have been praising Kagame as if Rwandans who fled him and his government do not like living in their home country. It is not so because all that glitters is not gold. The tall shiny buildings that you see in pictures come at a very high human cost in Rwanda. If you spoke to ordinary Rwandans, you would learn the amount of suffering they are undergoing including hunger, kwashiorkor, jiggers, and other sufferings they are experiencing like never Kagame’s government. If Malawians understood the pain and suffering Rwandans inside and those who sought refuge outside of Rwanda experience due to lack of freedoms and liberty, they would understand how good they have it. At least in Malawi, the judiciary is independent, and Malawians are free. Take for instance a look at how every Malawian is showing which party they will support in the upcoming elections without fear of insecurity. Any Rwandan who shows support for a party other than the RPF (the party in power) is killed. To increase security for Rwandan refugees in line with international law. Otherwise, saying that the Malawian authorities will consult with Rwandan authorities for every case of Rwandans who seek refuge in Malawi, given that it’s the government they are fleeing, it will not help as the Rwandan government will insist on returning them to Rwanda. That the Malawian government separates real refugees from fake ones whose purpose is to cause real refugees insecurity. That the Malawian government takes great caution in any agreements with the government of Rwanda similar to how countries such as Mozambique refused to immediately sign agreements with the Rwandan government after discovering ill intentions behind such an agreement. The government of Malawi will likely find itself in a trap that could cause great consequences in the future.